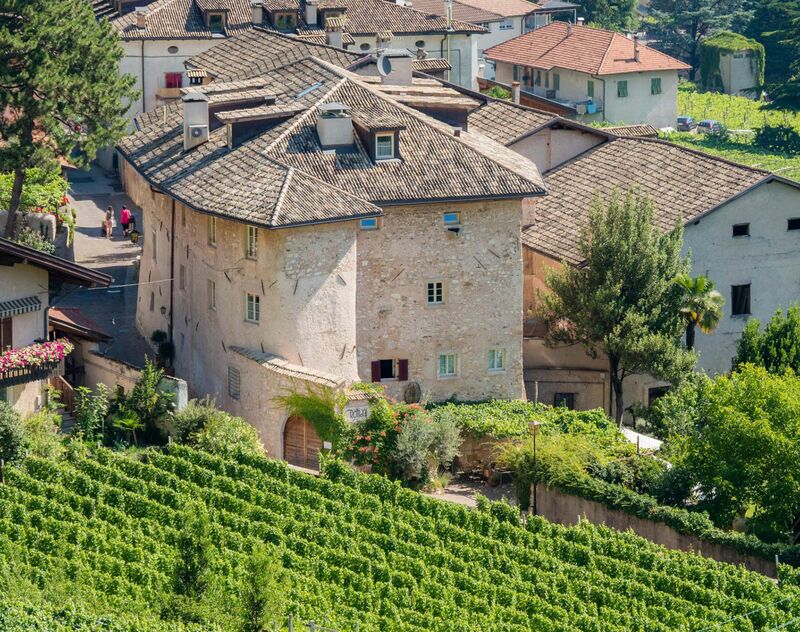 in Tramin on the Wine Road - Modern convenience, magical well-being. 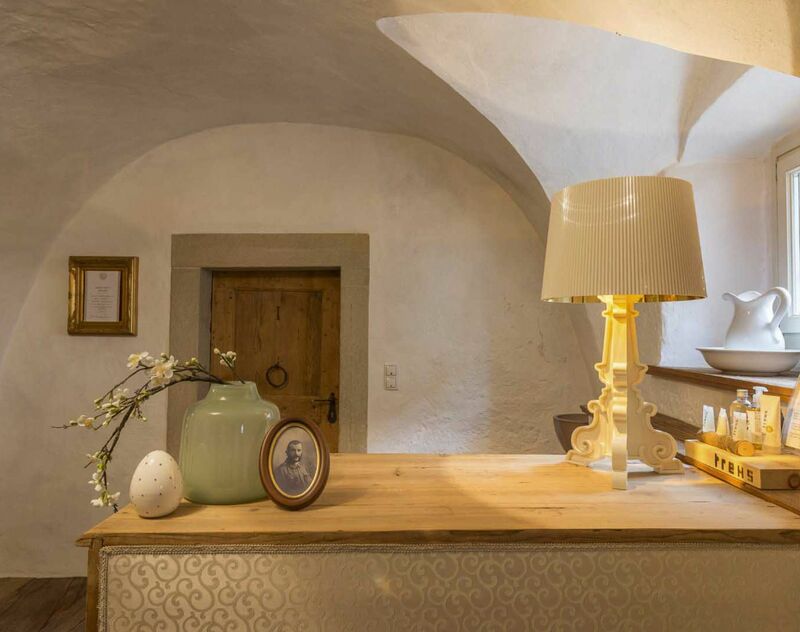 The holiday apartments of the historic Ansitz Romani at Termeno provide a unique setting for your holidays in South Tyrol. The grand noble residence has been renovated with much attention to details and equipped with comfortable and spacious holiday apartments. 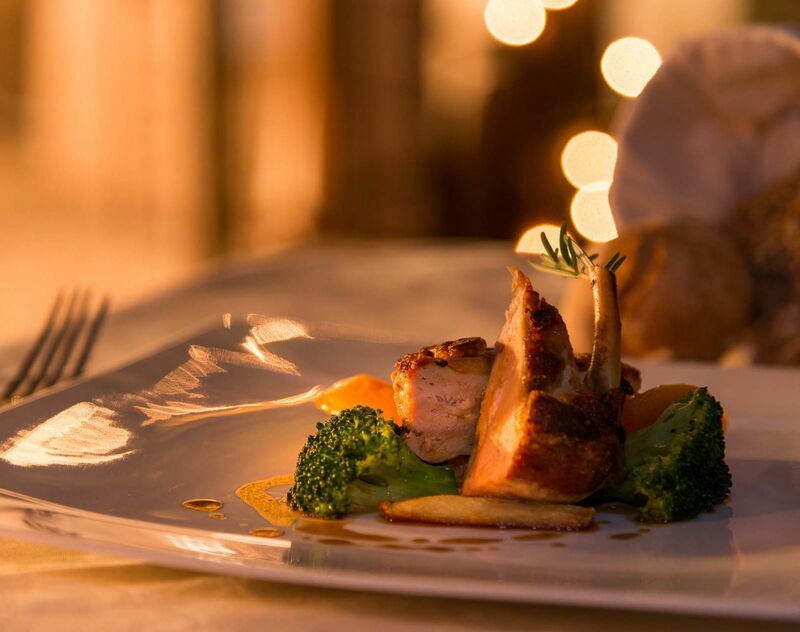 It is of utmost importance to us that our guests can enjoy the finest plates, delicious wines and unforgettable moments with their beloved ones in a unique setting. Stress and hectic dominate our everyday life – how we long for slowing down, rest, relaxation and that Mediterranean lifestyle especially on our holidays. Armin started very early to stir in saucepans and got interested in what bubbles and sizzles where for how long. 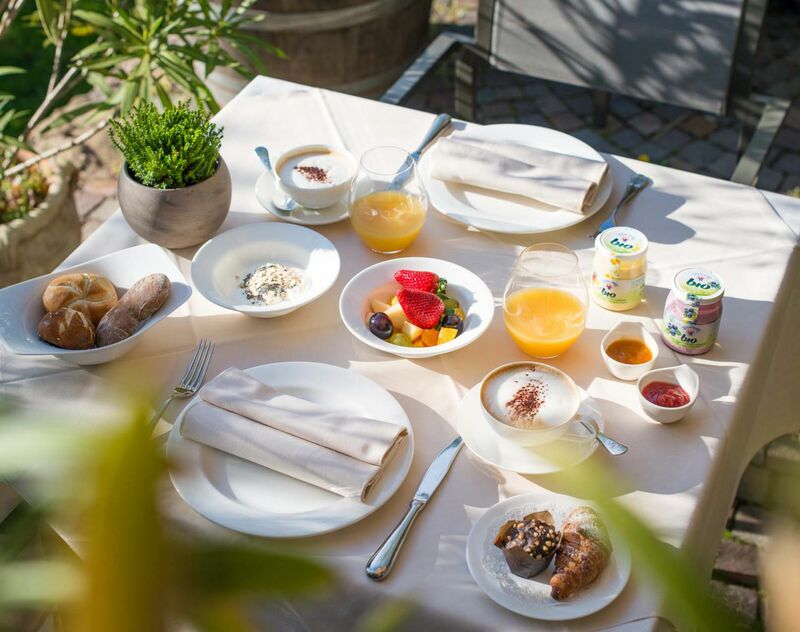 Seasonal and regional, our commandments are also reflected in our breakfast buffet. Regain your strength in the mediterranean romani garden. 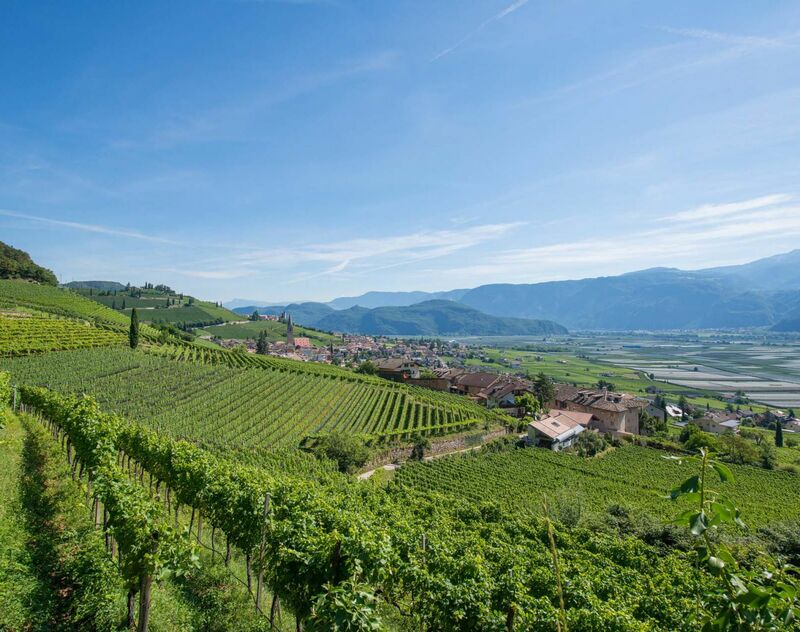 Termeno is THE wine-growing village of the south of South Tyrol. Holiday where everything is right! Armin and Sabine combine their love of the region and nature with the attitude of sustainable management of the historic residence. 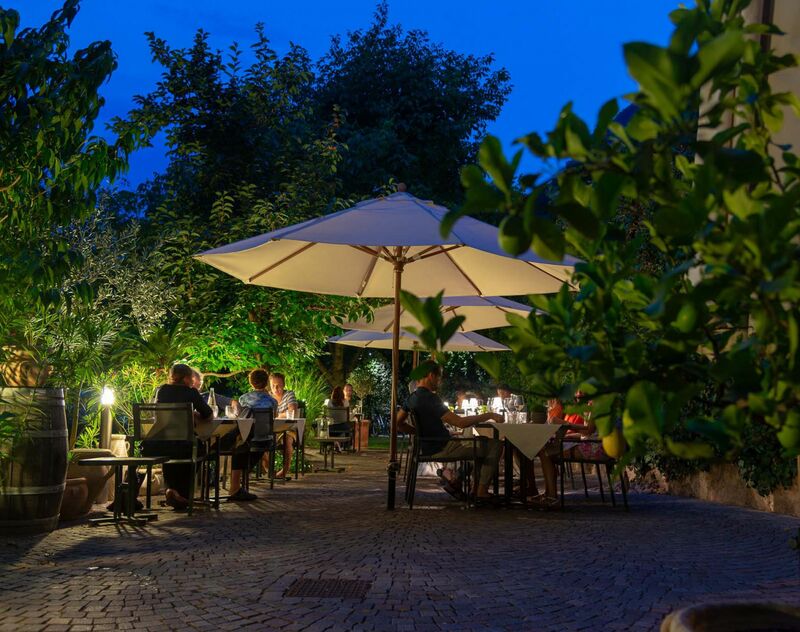 The careful development of the historic walls of the residence, the conscientious care of the mediterranean garden, the processing of regional and seasonal products show it. Here in the Ansitz Romani, where the air is still pure and the water is fresh, your holiday paradise is waiting for you!